I once dated a guy whose style was the apex of mid-aughts hipsterdom: slim Levi's, expertly worn vintage flannels, and a whole lotta spirit-animal tees. But, his brother — despite having incredibly cool, obscure taste in books, music, and the like — dressed in an utterly un-style-conscious hodgepodge of relatives' Christmas gifts and downmarket department-store finds. "I don't understand you," my boyfriend once said when his brother showed up in a baggy Nautica T-shirt and cargo pants. "Why do you dress like a divorced dad?" Turns out, "divorced dad" is actually the vanguard of fashion (or is it anti-fashion?). And, we can probably expect to see more in the years to come. The trend is called "Normcore," and author Fiona Duncan outlines its tenets in a convincing manifesto over at The Cut. Normcore is the aggressively generic clothes worn by Times Square tourists — and, increasingly, by the 20-something intelligentsia in New York and other style capitals. Think hopelessly unstylish, middle-American wear: puffy, white sneakers; loose chinos; unbranded, curve-brim baseball caps; socks with sandals. It's New Balance instead of Nikes, track pants instead of printed trousers. It's how your middle-school earth-science teacher dressed. And possibly your dad, if you couldn't prevail on him to change before your friends came over. To be sure, we've been alarmed by the uptick in Patagonia fleeces and Merrell slip-ons on the L train lately. And, Normcore seems to be dovetailing with the baggy-coated, mom-jeaned, '90s-philosophy-major look that's ruled hipster enclaves like Bushwick for the past few years. That Normcore is a thing is undeniable (as Duncan's impressive photo research shows). But, one aspect we think the article gets wrong is that this is not truly an anti-style movement. Duncan asserts that, for the wearer, these "blank clothes" are the opposite of "striving for difference or authenticity.” But, these clothes aren't really blank. For the 20- to 30-somethings who wear them, they're rife with associations with their youth, from Seinfeld episodes to Corinne Day editorials to, well, your dad. This makes Normcore a completely logical evolution from fashion's nostalgia for the more sugary side of '90s style. What do you do when the Topshop-patronizing Tumblr set has utterly exhausted Clueless kilts and daisy dresses? Move on to the drab turtlenecks and wide-wale cords of your youth instead. Difference is completely the point. As a visual statement, Normcore also relies on the ironic distance between the vapidity of middle-American style and the cool, insider-y people who wear it. Dev Hynes of the band Blood Orange is quoted as saying that he dresses "like a tourist." But, really, Hynes looks as much like a tourist as a bespoke-bearded Pendleton-flannel wearer looks like a lumberjack. Clothes change meaning based on who wears them. In that sense, Normcore continues in the grand tradition of reverse-gentrifying fashion. We imitate the masses to show how unlike the masses we are. There's a reason mom jeans are hot on a 25-year-old and not on an actual mom. 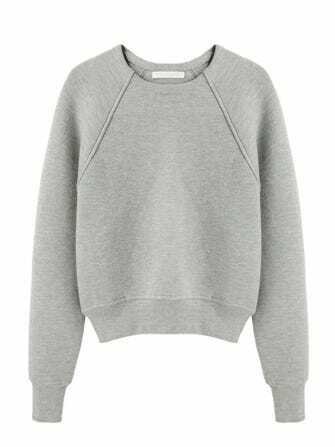 Alexander Wang Crop Neoprene Pullover, $595, available at La Garçonne. 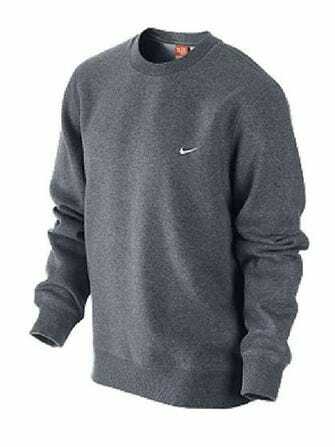 Nike Adult Crew Sweatshirt, $35, available at Rakuten. 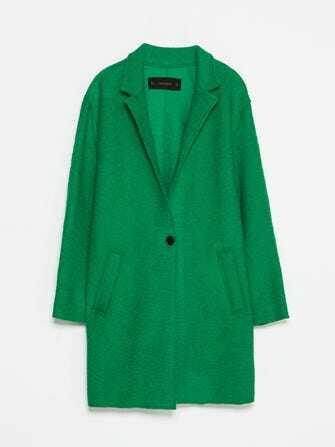 Zara Wool Coat, $119, available at Zara. 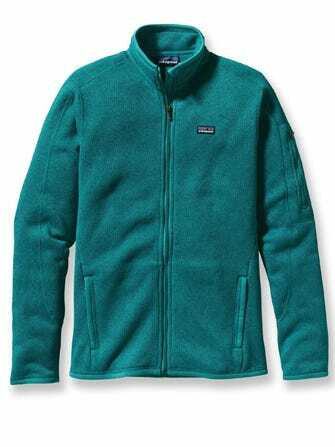 Patagonia Better Sweater Jacket, $139, available at REI. 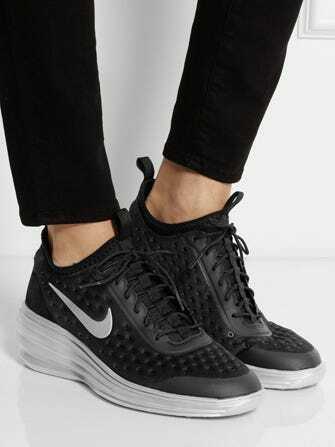 Nike LunarElite Sky Hi Wedge Sneakers, $130, available at Net-A-Porter. 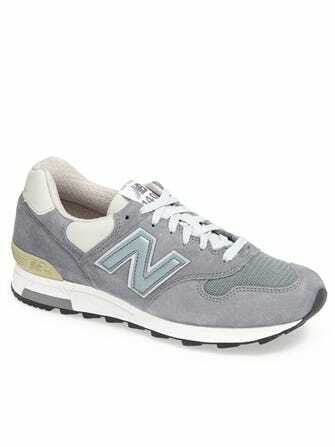 New Balance '1400' Suede Running Shoe, $160, available at Nordstrom. 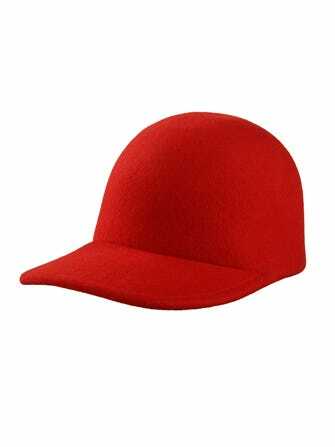 Stella McCartney Baseball Cap, $300, available at Stella McCartney. 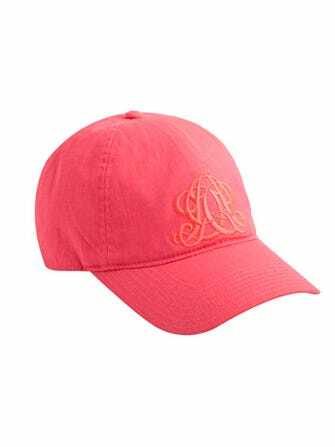 J.Crew Embroidered Baseball Cap, $34.50, available at J.Crew. J.Crew Minnie Printed Stretch Pants, $110, available at Net-A-Porter. 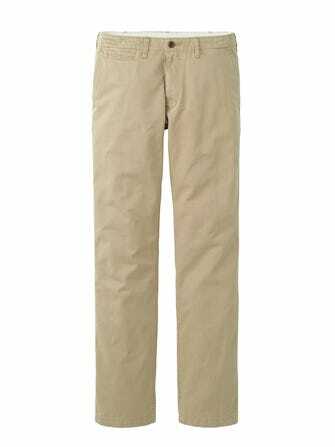 Uniqlo Regular Fit Chino Flat Front Pants, $39.90, available at Uniqlo.